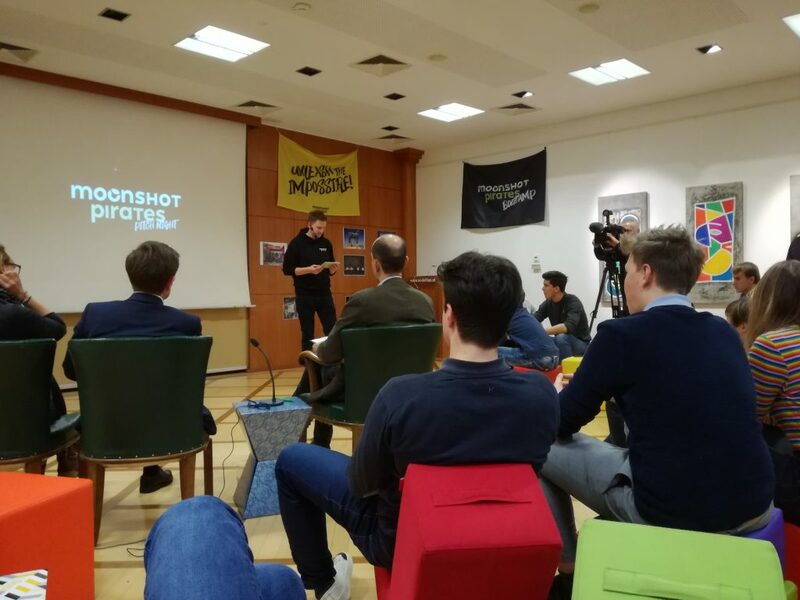 At the Moonshot Pirates Bootcamp in Tainach, Carinthia, we had the opportunity to present our project to a new generation of inspired young entrepreneurs. Our goal was to show what a project that started out in a similar vein to theirs could evolve into and that they shouldn’t be afraid to shoot for the moon (or even Mars). Additionally, we got to hear a variety of creative pitches for start-ups that the Pirates came up with in only two days! We enjoyed a late night up sharing advice and experience with the teams and mentors. A huge thank you to the Moonshot Pirates for having us!